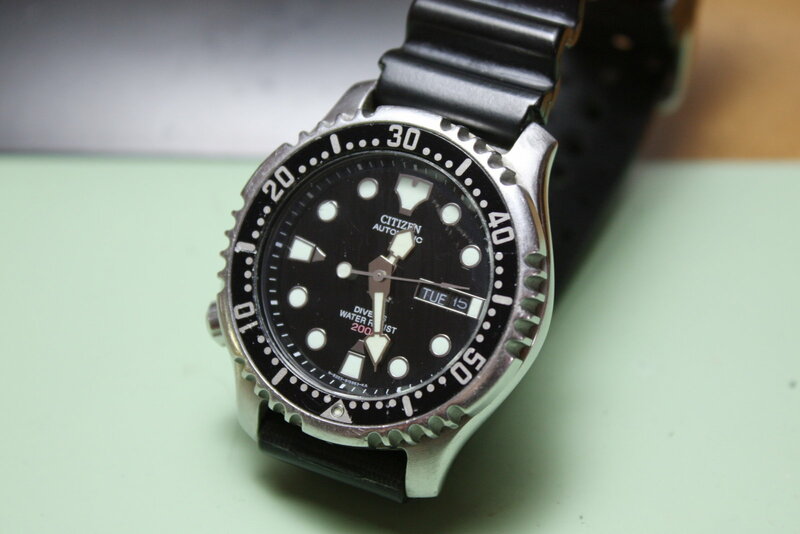 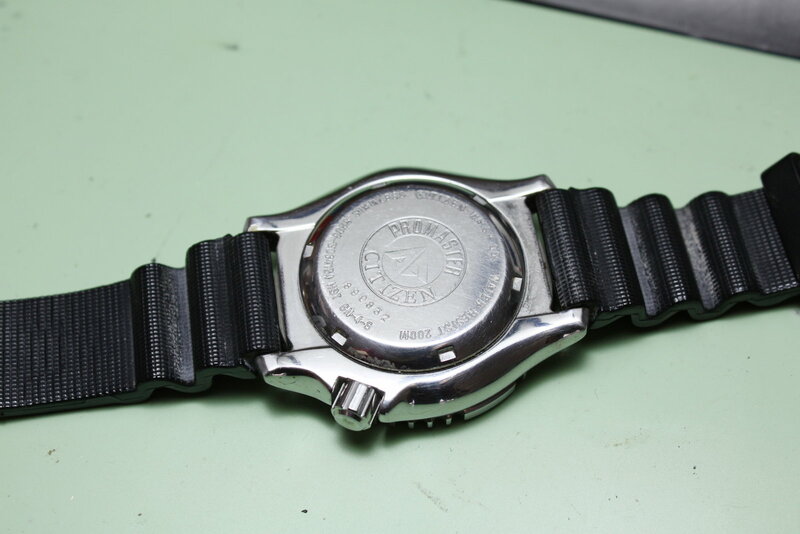 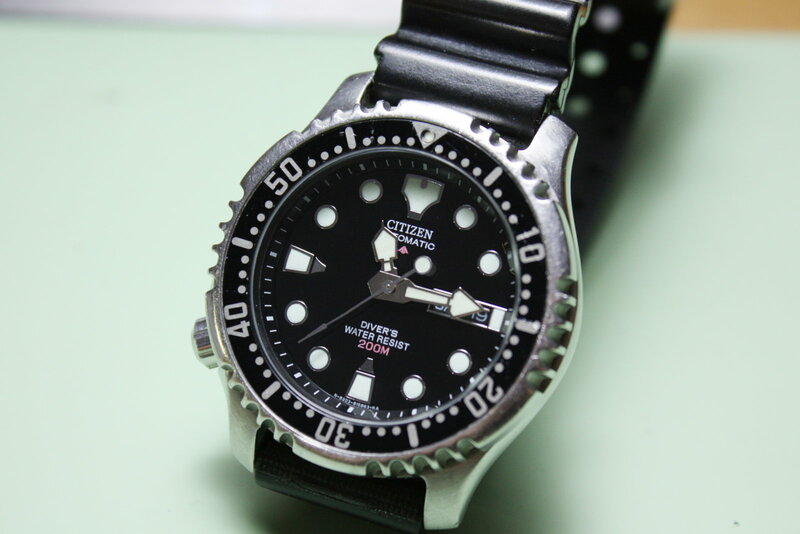 This is a worn Citizen Promaster dive watch with lots of scratches on case and crystal and it does not run continuously. 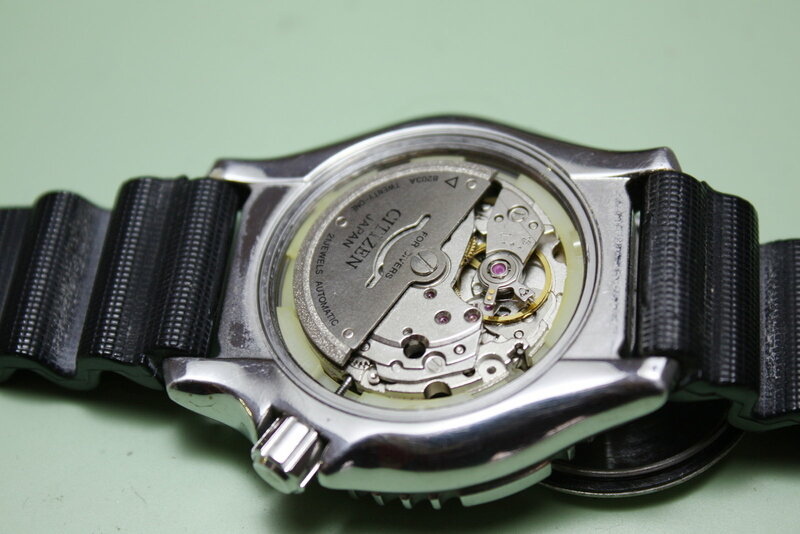 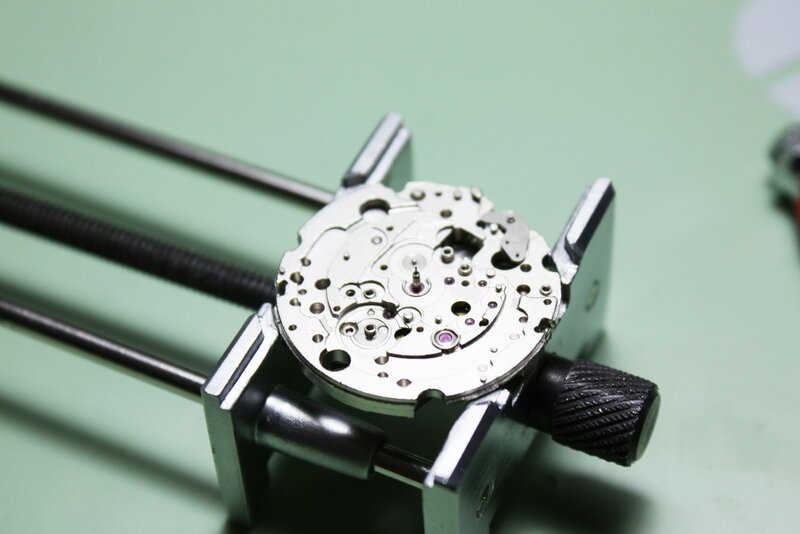 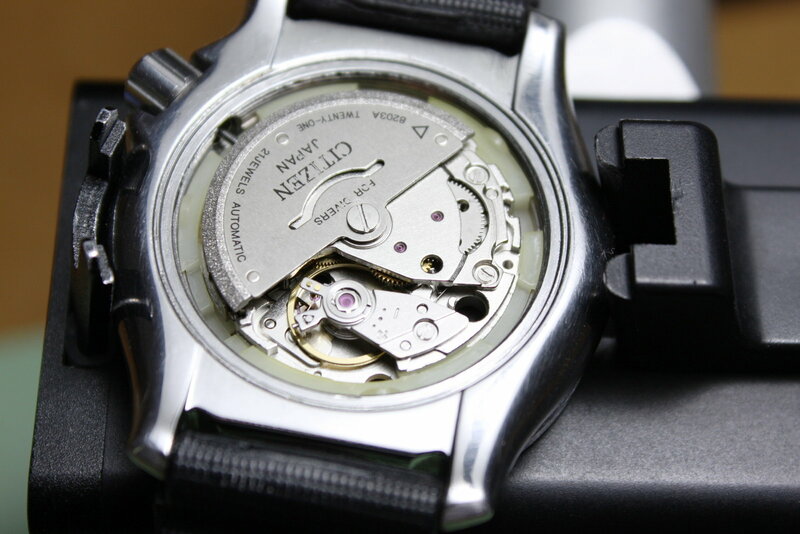 The six digit caseback number starts with "88" -> as it stands for the year in the production decade followed by the production month, this watch should have been produced in August 2008. 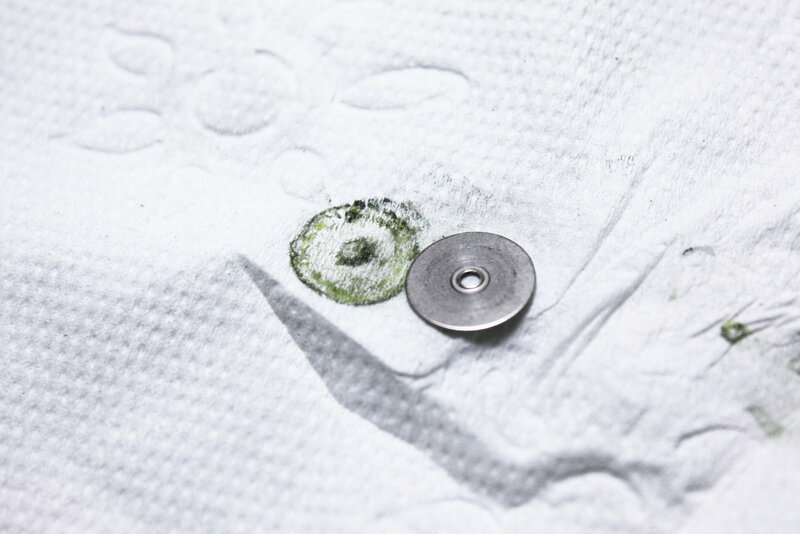 In this detail shot we find a first problem - some of the old oil has denaturated to a slimy substance. 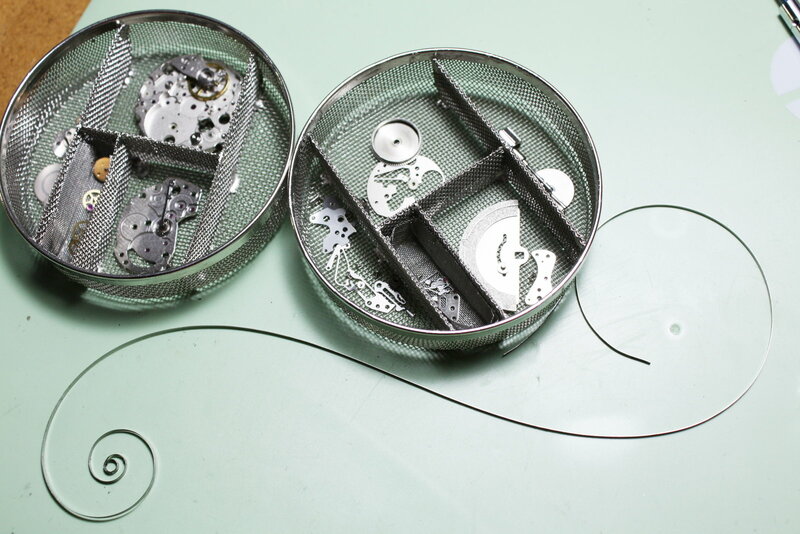 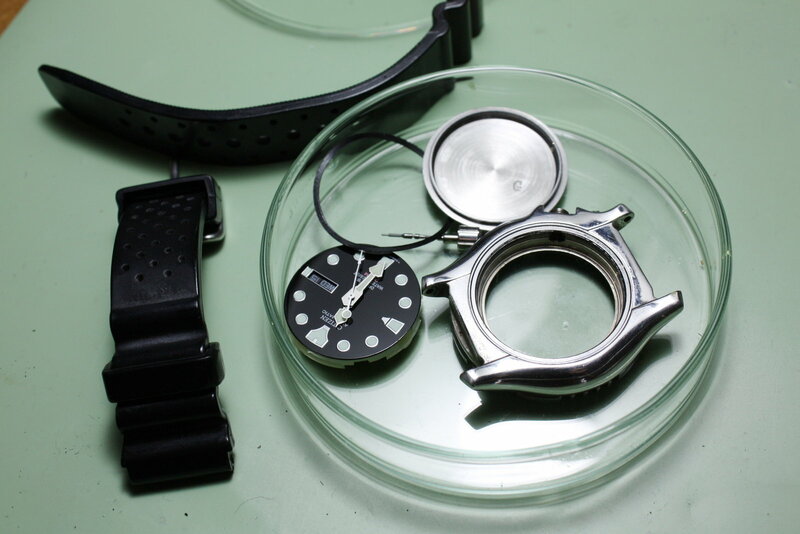 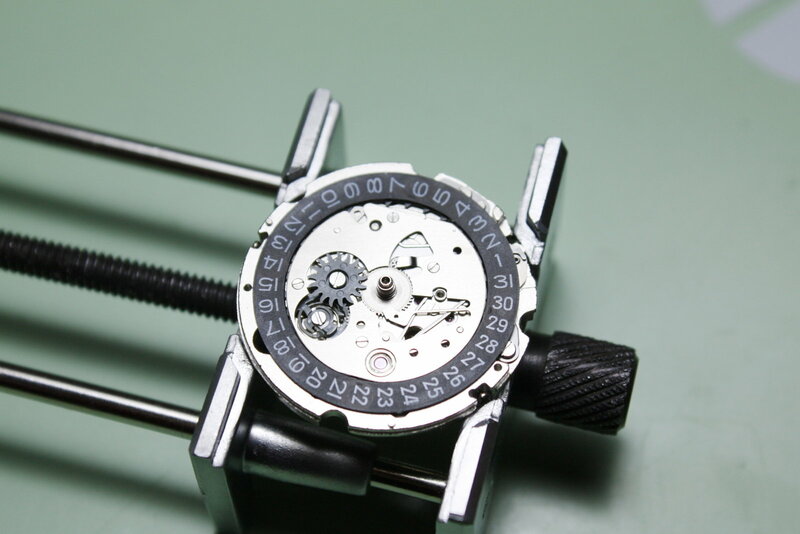 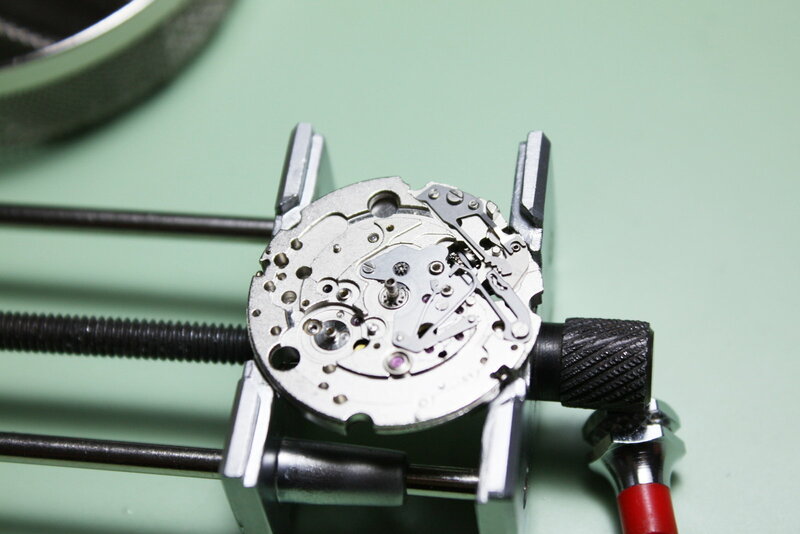 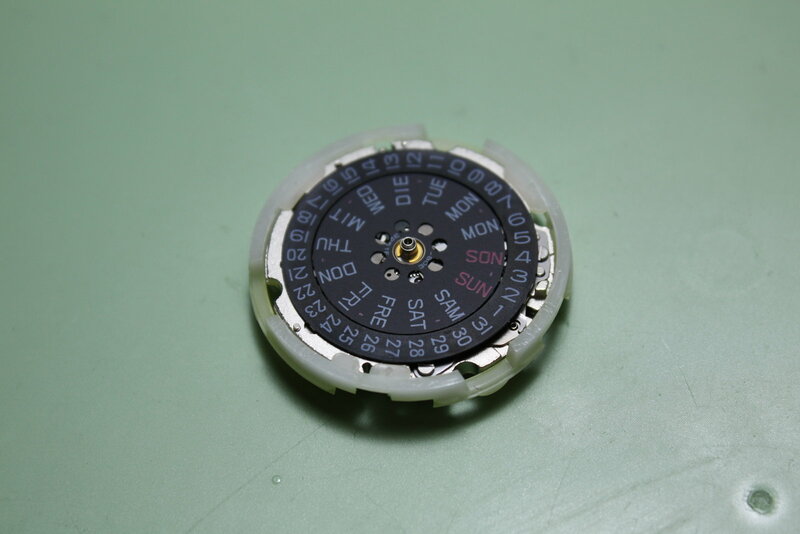 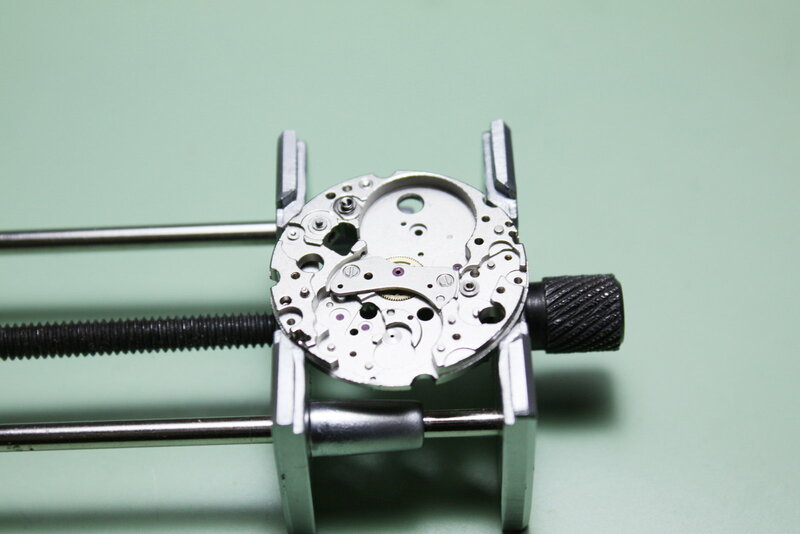 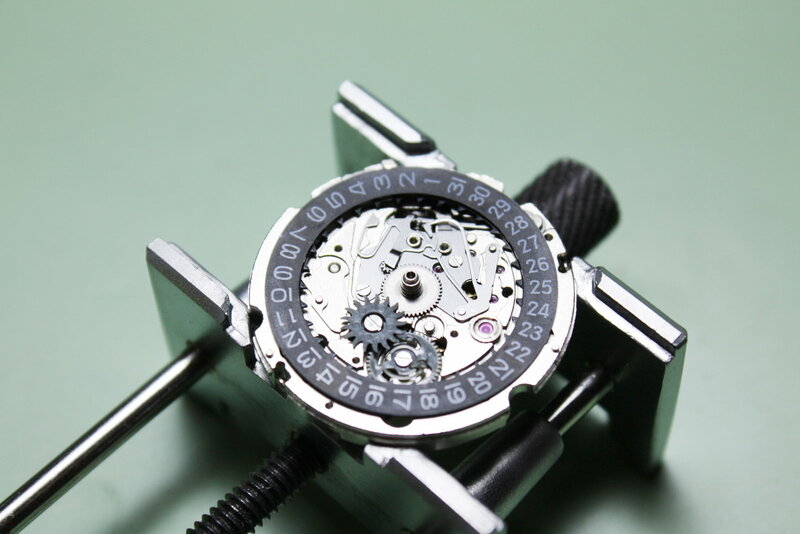 And with most of the parts removed on the dial side. 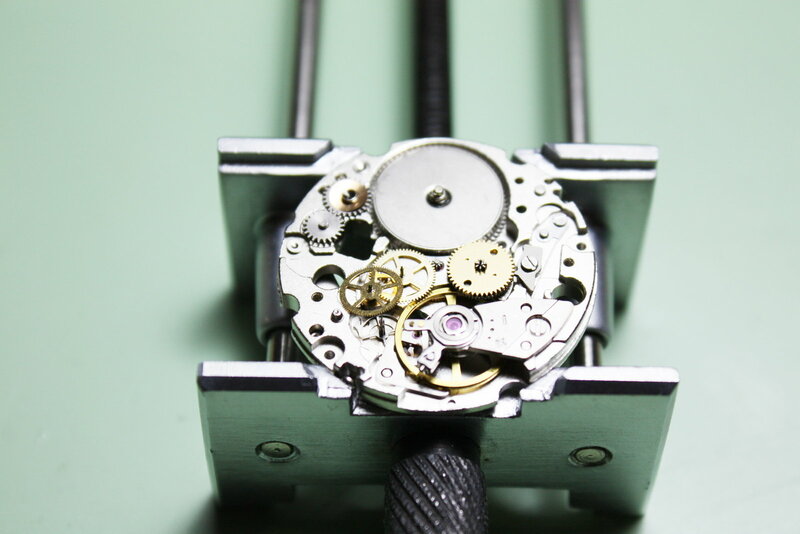 Almost all of the wheels lie under a single bridge - the same that holds the rotor (and no, it is not that hard to put this bridge back in place during reassembly -> the wheels of the wheel train have pointed axes that allow for easier reinsertion into their bearings). 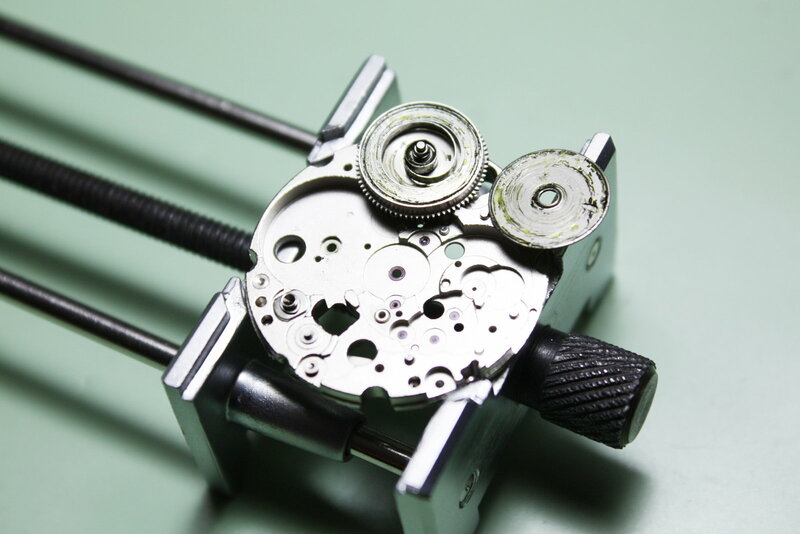 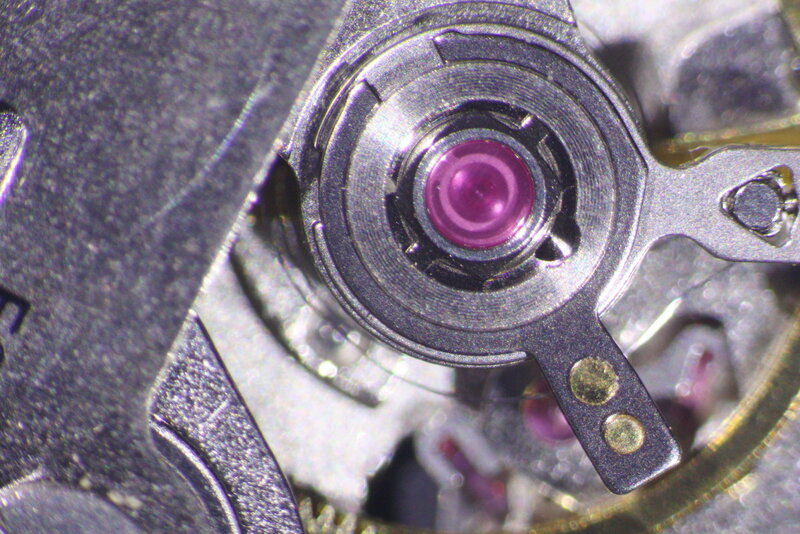 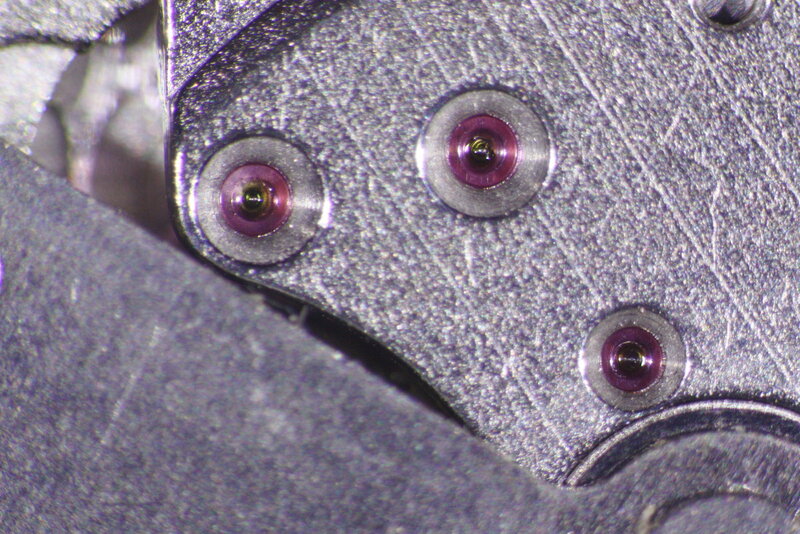 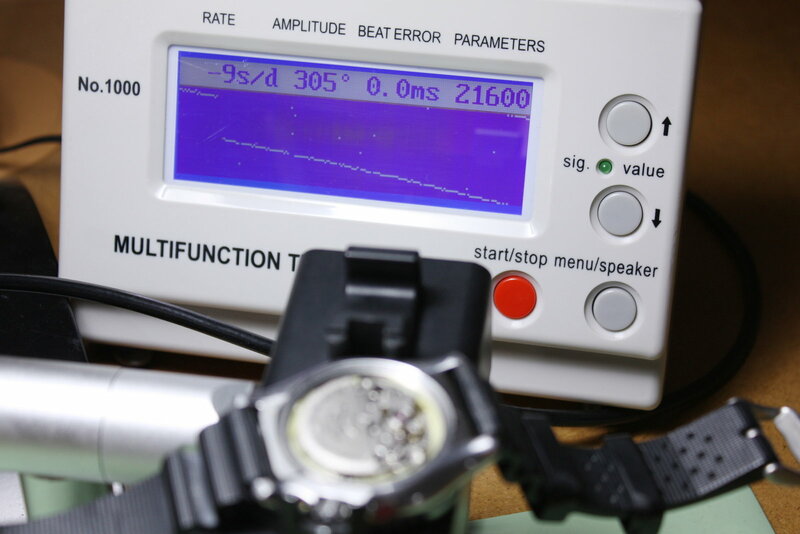 This is the already reassembled and relubricated watch.